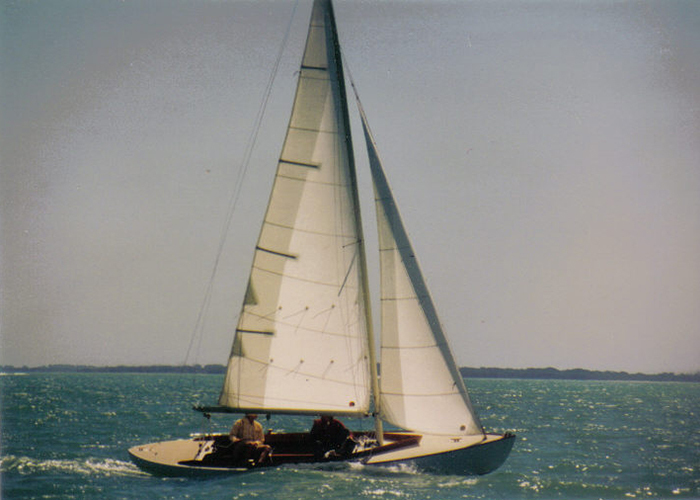 Thi sis LaLa – the original Sakonnet 23. 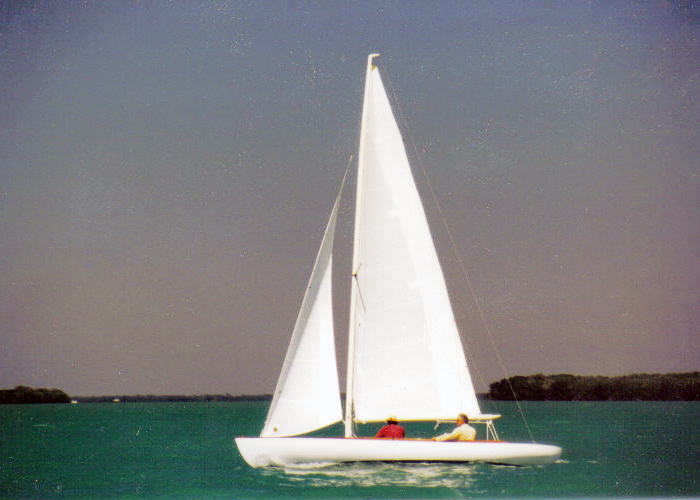 Designed by Joel White and built by Joe Norton III. 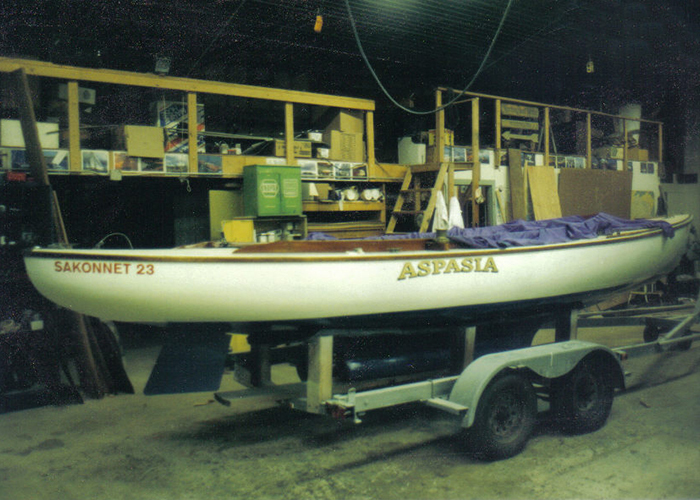 We built the original boat that became the mold for the fiberglass Sakonnet 23 now manufactured by Edey and Duff. This is a time-proven design that we love dearly. Probably our most "famous" project, it has been featured in many articles and publications. 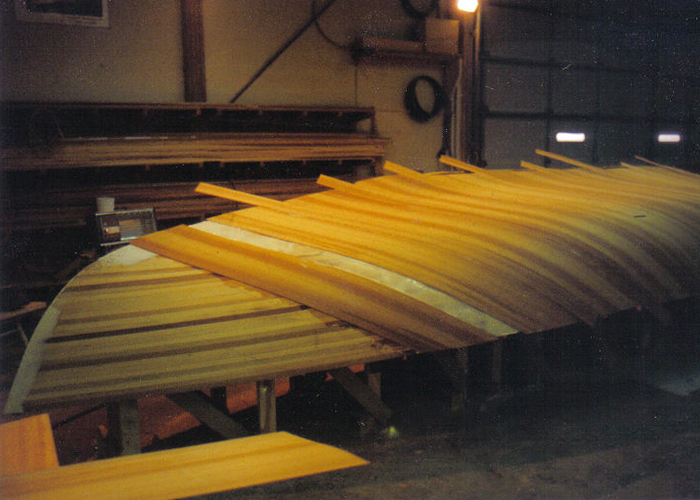 Wooden Boat Magazine #126, Small Craft Advisor, Harken Bearings (Fall 1996), just to name a few, as well as countless other pages on the internet. 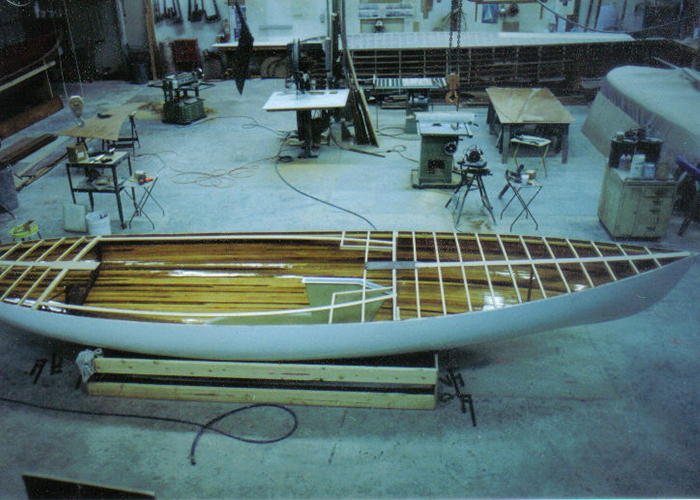 There are even small-scale models based on this boat! Click the links below to read the articles. When you're done, give us a call. We'd love to build one for you! "The Creation of Lala." WoodenBoat, No. 126, September/October 1995, pp. 59-65.